When it comes to the Puppy Bowl, every dog is a winner, no matter which team takes home the trophy — because every dog finds their forever home! 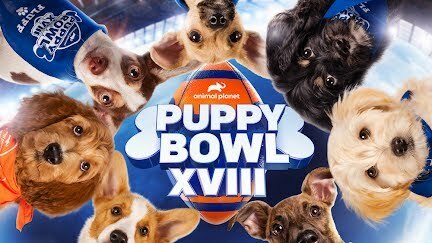 Don’t miss Puppy Bowl XV Sunday, February 3 at 3pm ET/12pm PT on Animal Planet. Thank you to Mötley Crüe, who donated their fee for use of “Home Sweet Home” in support of animal rescue.